Knowledge therapy for spondylolisthesis uses mindbody techniques to reduce or even completely cure pain. The name of the therapy was coined by Dr. John E. Sarno of The Rusk Institute of Rehabilitation Medicine at NYU Medical Center in New York City and has now grown in scope to include a wide variety of non-physical treatments for chronic pain of all types. Knowledge therapy is not a “miracle cure” or some “new age” medicine. 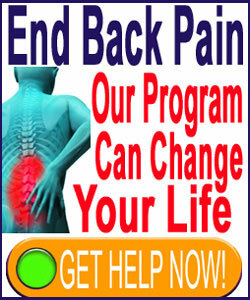 The system consists of proven science, developed by leading physicians in the chronic pain sector. These techniques have been used for decades to resolve even the most stubborn and severe forms of symptoms associated with a wide range of dorsalgia diagnoses. The Cure Back Pain Network is proud to be the leading provider of information concerning mindbody medicine and knowledge therapy for spondylolisthesis, in particular. We find this therapeutic path to be ideal for some patients, but helpful to virtually all, and so we recommend it to most readers for independent investigation. This treatise delves into the use of knowledge therapy to treat the symptoms of listhesis-related pain. We will extol the many benefits of this treatment, as well as provide a detailed accounting of its limitations. However, since knowledge therapy is a risk-free approach to care, we will finally earn a much-deserved break from explaining the risk factors associated with this choice of care method, in sharp contrast to other forms of spondylolisthesis treatment. What is Knowledge Therapy for Spondylolisthesis? Knowledge therapy is a way to literally learn your way free of pain. The system teaches the patient the reasons why their structural diagnosis might not be the reason for pain, citing scientific evidence to show its true innocuous nature as a non-pathological aspect of spinal aging, while simultaneous pointing out purely psychoemotional reasons why the pain is present based on life circumstances, human societal development and interactions, personality profile and behavior tendencies. In essence, knowledge therapy debunks the sad myths of Cartesian medical philosophy in favor of the more enlightened and clinically proven mindbody model, while undermining the nocebo effect inherent to the spondylolisthesis diagnostic process. Renee Descartes speculated that all states of health and illness were direct results of the body machine and were not influenced by the mental or emotional aspects of the human entity. He said that religion and philosophy were the workings of the mind, but the anatomy was a mechanical design that could be engineered by doctors without influence from the cognitive and psychological parts of the human. This model has been proven to be incredibly incorrect in more studies than could even be cited on a case by case basis. In fact, the entire science of modern psychology proves inherently that the mind is THE most active influence on the body 24/7 throughout life. The mindbody model of health states the truth of our human existence. We are mind and body combined. However, the mind is the ruler of the body and dictates its whims throughout conscious and unconscious mechanisms of action. There are changes in the anatomy that we can enact with active thought, such as sexual stimulation, heart rate, blood pressure and internal tension or relaxation. All of these things have been definitely proven. However, there are many, many bodily systems that are part of the autonomic processes of the human being. These are the processes that are not automatic by any means, but are instead regulated by parts of the brain that remain largely unconscious to us. 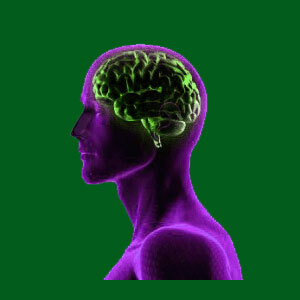 The brain dictates what happens positively and negatively concerning much of the body through autonomic processes. Tension myositis syndrome, and all mindbody pain syndromes, are perfect examples of what can occur when the mind becomes pathological to the body in terms of pain generation to serve as defense mechanisms against sensitive emotional stimuli. Knowledge therapy takes advantage of this factual concept and programs the brain to work in the interest of good health, less pain and ability to cope with emotional issues without negatively impacting the anatomy. Knowledge therapy can lead to true cures for many patients. This is statistical fact. Dr. John Sarno cites cure rates for common back pain diagnoses that come close to being all-inclusive. These cures are described as being permanent and not requiring any ongoing medical care whatsoever. We find that knowledge therapy does not impart universal cures, but does certainly provide universal benefits. Sarno’s data might be slightly skewed when compared to the overall patient population, because he only accepted closely screened patients in his programs, where we tend to address the entire human population and allow all to be included in our research statistical accumulation. Regardless, knowledge therapy will teach people to better understand their health and why they have pain. Virtually everyone will benefit in some way, through tangibly improved health, better functionality and less pain, where applicable. However, many, many patients will find that the program offers them exactly what they require to achieve those true cures that endure and do not require any maintenance care whatsoever. The most obvious benefits of knowledge therapy include the truths that it is free or basically free for most patients. Some patients might want to purchase books on the subject and that decision might entail spending a few dollars on a program. Others might want to consult with a mindbody medicine practitioner, which can be costly. However, these are not necessary steps to benefit from knowledge therapy and even when selected, will still dramatically reduce the financial cost of treatment exponentially compared to complementary or traditional medical approaches in comparative analysis. Remember that listhesis is an ongoing health issue that might otherwise require professional care for decades, at very dear economic cost. Knowledge therapy has no risks to consider at all, making it unique in the medical sector. The only real risk is the chance that a person will completely change their perception of the true definition of health and this is a very beneficial thing indeed. Knowledge therapy is not all positive and without flaw. Some pain conditions are motivated by anatomical injury or defect. These conditions are certainly influenced by the mind through the psychosomatic process, which is universally expressed in humans. Remember, psychosomatic never implies invented or exaggerated pain. It merely means that the mind affects the pain and according to all research science, this is a proven fact. The mind can and will influence the severity, duration and effects of pain for any health condition, regardless of how anatomically-motivated it may be. Therefore, while knowledge therapy might provide beneficial effects on structural pain, it will not likely provide a cure. Regardless, knowledge therapy will have no effect in undoing the structural abnormality associated with listhesis. Basically, the vertebral bone will never “go back” into typical position in the vertebral column, as some patients expect. Despite its limitations for curing primarily structural pain syndromes, we still recommend trying knowledge therapy for its collateral rewards, including reduced symptoms in many cases and universally improved overall wellness. There are no risks and the potential rewards are vast. This is why we have advocated for this particular therapeutic approach for more than a decade. It has proven its efficacy and works without the usual negative health consequences inherent to drugs, injections and surgery. Additionally, it is vital to remember that although rarely mistakenly diagnosed as existing or not, spondylolisthesis is frequently misdiagnosed as the source of pain when some other causative mechanism, remains unidentified and therefore unresolved. Our proprietary pain relief program integrates the very best practices of knowledge therapy. We are proud of the accolades the program has received from some of the world’s top healthcare providers. Best of all, it is available 24 hours a day to help you when you require immediate assistance.